MAHATRANSCO Assistant Engineer Recruitment 2017: The officials of the Maharashtra State Electricity Transmission Corporation Limited (MAHATRANSCO) is expecting online applications form all eligible and hard working candidates to fill up 115 Assistant Engineer And Executive Engineer Vacant Positions. As this is a good chance apply for these posts through this page. keep in touch with us we will announce the latest recruitment notifications this will be the best job to the aspirants those who want to apply for this job. On this page, aspirants can get the direct link to download the MAHATRANSCO Assistant Engineer Recruitment 2017 Notification. And the officials of the MAHATRANSCO have stated all the important dates and requirements clearly in the MAHATRANSCO Assistant Engineer Recruitment 2017 Notification. So Job seekers who are ready to work with this MAHATRANSCO they are suggested to read the official notification and apply for these positions before the due date which is 15-11-2017. The candidates can actually start applying from 25-10-2017. If you want to apply for these positions then you must obey the age limit according to the rules. So candidates who are applying for the Executive Engineer positions their age limit should not exceed 40 years and Assistant Engineer Posts the upper age limit is 35 Years as on closing date of the application form. For more information about the Maharashtra State Electricity Transmission Corporation Limited Openings Age Limit And Age Relaxation just click on the below provided link and read the official MAHATRANSCO Assistant Engineer recruitment notification. Applicants who are going to fill the application form they must pay the application fee of Rs. 700/- for General Category Candidates and SC/ST Aspirants need to pay Rs. 350/- as the examination fee. For more details, it is better to visit the official web page and read the MAHATRANSCO Assistant Engineer Recruitment 2017 Notification. The officials of the Maharashtra State Electricity Transmission Corporation Limited had issued a recruitment notification to fill up 115 Assistant Engineer And Executive Engineer Positions. So aspirants those who are willing to apply they must check this page to get the updated information about the MAHATRANSCO Assistant Engineer Recruitment 2017 Notification. Contenders who had applied for these positions before the last date they must attend the selection process. Candidates will be selected based on their performance in Online Test and Personal Interview. As per official recruitment notification aspirants who will get recruited they will get the Salary of Rs. 19110/- to Rs. 68295/- per month. This will vary for different posts. So we insist the applicants check this page completely to get the post wise Maharashtra State Electricity Transmission Corporation Limited Vacancies Salary and Grade Pay. For more information about MAHATRANSCO Assistant Engineer Recruitment 2017 kindly visit our sarkarirecruitment.com daily. Executive Engineer (Trans): Candidates who have done a Bachelor’s Degree in Electrical Engineering/ Technology are eligible to apply for the Executive Engineer (Trans) Jobs. If you want to apply for these positions then you must obey the age limit according to the rules. So candidates who are applying for the Executive Engineer positions their age limit should not exceed 40 years and Assistant Engineer Posts the upper age limit is 35 Years as on closing date of the application form. Applicants who are going to fill the application form they must pay the application fee of Rs. 700/- for General Category Candidates and SC/ST Aspirants need to pay Rs. 350/- as the examination fee. Contenders who had applied for these positions before the last date they must attend the selection process. Candidates will be selected based on their performance in Online Test and Personal Interview. Assistant Engineer (Civil) – Rs. 19110-840-23310-885-46320/- per month. Assistant Engineer (Trans) – Rs. 19110-840-23310-885-46320/- per month. Executive Engineer (Trans) – Rs. 31725-1220-37825-1385-68295/- per month. Vist the official web page of the MAHATRANSCO which is www.mahatransco.in. Find the MAHATRANSCO Assistant Engineer Recruitment 2017 Notification or click on the below link. MAHATRANSCO Assistant Engineer Recruitment 2017: Here is the great news for the job seekers. The aspirants of individuals can check the MAHATRANSCO Assistant Engineer recruitment information was officially announced on the main page. Here we have displayed all the details so that you can read the information if you have an interest in this profile. The aspirants of individuals can get the required details from this page. Applications are being invited by the talented and the dynamic candidates. Kindly Go through the given details at the below. The examination details are clearly mentioned in the table format. If you want more details about this MAHATRANSCO recruitment 2017 at the given below. 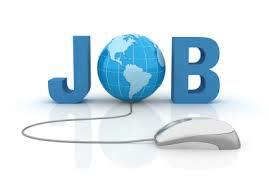 If you do not interest in this profile you can check the latest govt jobs on this page. MAHATRANSCO Assistant Engineer Notification 2017: has been discharged. The age limit of the candidates should be not less than 18 years and not more than 35 years. Who ever applied for the recruitment they can download the Syllabus from this page. The candidates should have completed the Bachelor degree in Civil Engineering/Electrical Engineering from recognized University. So all the candidates can refer the official advertisement about the recruitment. written test and interview is the selection rounds for the candidates. Candidates refer the application notification for the application fee details. How ever the pay scale for the qualified candidates will get as per the rules in the organisation. MAHATRANSCO Job Vacancies 2017: Eligible and willing aspirants may additionally observe for the MAHATRANSCO Assistant Engineer Recruitment 2017 at www.Mahatransco.In. So you could comply with the given beneath steps. However, Applicants are suggested to read the respective notification to get the pay scale, and different phrases and conditions regarding this recruitment. However, Recruitment department will discharge the Admit Cards earlier than 10 or 15 days from the date of written examination. with out carrying the admit card they did not allow to the selection process. However, the candidates if they are having any queries regarding this recruitment you can check the details on the official page. So follow our site Sarkari regularly. Education Qualification: The desired qualification Bachelor degree in Civil Engineering/Electrical Engineering from recognized University. for more check the details on the official site. Age Limit: The age limit should be in between 18 years to 35 years. Pay Scale: Recruited candidates will get as per the given rules in the organisation. Application Fee: Download the formal advertisement at the below. Check the details of the notification. I’m BE Student. Can I apply to mahatransco? I tried to fill up the application but it asks BE percentage (pass /fail). My BE is not completed . What is the solution?